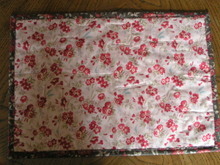 When I do this kind of binding, I sew the front wtih my machine. Stitching is on the inside and so doesn't show, but then sew the back by hand, making sure that it covers the front stitches. 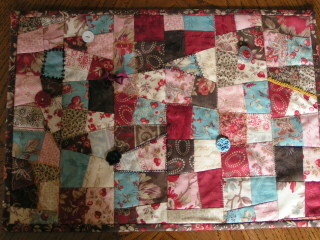 All the handwork, plus the sleeve's hand work, is one reason why I usually use a pillow-top binding method. I love your blog. Heather isn't the only writer in the family.